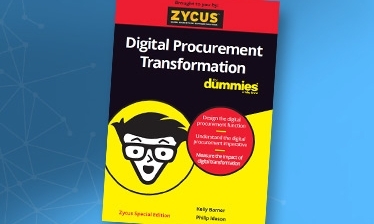 Another year has rolled by leaving the same writing on the wall as 2017, only this time, it’s louder and clearer: Digital transformation has well and truly arrived at procurement’s doorstep. But, truth be told, it has, up until now, merely received a lukewarm welcome. In 2019, that could change. The winds of digital transformation are slowly, but surely, turning the wheels of procurement. Savvy procurement teams are beginning to acknowledge its benefits. This, for instance, is evident from how procurement teams are beginning to perceive digital transformation. Consider this: A recent Hackett Group study titled, 2019 Procurement Key Issues has revealed that digital transformation is a critical goal for a majority of procurement departments in 2019. That’s because, over the years, digital transformation has moved its way up the ladder in the procurement department. In 2018, more than 90% of procurement professionals believed digital transformation will fundamentally shift the way procurement services are getting delivered within two to three years, according to a Hackett Group survey. Compared to 2017, this number has increased more than 10%. What’s also remarkable is that, in the last two years, the percentage of organizations having a formal strategy for digital transformation becomes more than doubled year over year, from 32% (2017) to 66% (2018). In the same period, the number of organizations indicating they have the resources to handle the transformation has also increased, from 25% (2017) to 46% (2018). It’s a clear indicator that in 2019 the gap between the promise of digital transformation and leveraging it to its full potential will narrow. At the same time, the gap between CPOs who haven’t yet embraced digital transformation and high-performing procurement organizations who have already gained a first-mover advantage will widen. They’ll have a lot of ground to cover to keep pace with the latter. But what’s triggering this uptake? Digital Transformation: Coming of Age in 2019? This progression is piggybacking on technology’s influence on consumers and their expectations, and sometimes, technology itself. Today, Artificial Intelligence-based apps are automating repetitive tasks like invoicing (e-invoices), thereby freeing up resources for innovation. The power of analytics in risk assessment and spend analysis will help procurement teams save costs and make informed decisions. This will give CPOs a seat at the business strategy table. It comes as no surprise then that procurement leaders believe advanced analytics adoption will attain close to 60% impact growth in the next two years, according to the Hackett Group’s findings. In warehouses, for instance, IoT-connected devices will keep track of deliveries. This, in turn, will help procurement teams track the individual performance of suppliers with greater accuracy. It will also help in gathering real-time feedback from customers, which can enhance customer experience and provide a competitive edge. This is significant because, year-on-year, customer focus improvement and product/service portfolio innovation have featured in the list of top three major initiatives in 2018 and 2019. That will have an impact on the adoption of procurement technologies like e-procurement, e-invoicing, contract lifecycle management, and supplier relationship management, in order to better customer and stakeholder experience. According to the Hackett Group’s study, between 2019-2021, these bunch of technologies will see significantly increased adoption as more CPOs realize the need and the potential of digital transformation. But in order to get there and meet customer and business expectations, today’s Procure-to-Pay processes (P2P) need to be agile and have the ability to streamline user experience, according to the Hackett Group. How can procurement teams do that in 2019? What are the trends shaping procurement in 2019? What challenges will they face? An exclusive webinar titled, Hey Nineteen: Procurement’s Playbook for 2019, has all the answers. On 29th January, at 1 PM, join an esteemed panel of experts: Chris Sawchuk, Principal and Global Procurement Advisory Practice Leader, The Hackett Group; Brittany Muirhead- Director, Procurement Strategy, Brookdale Senior Living Inc, and Richard Waugh- VP, Corporate Development, Zycus. The webinar is presented by Zycus in association with SIG. The webinar will feature the findings from The Hackett Group’s 2019 Procurement Key Issues survey and a case study presentation that highlights how Brookdale Senior Living has leveraged assisted sourcing as part of its digital transformation journey. Find out what procurement heads, like you, need to do to help your team and business achieve their goals this year. © 2019 Zycus Procurement Blog. All Rights Reserved.